Stringing a tennis racquet can be a bit tricky. Keeping the racquet in place and threading the string through the grommet holes can be pretty challenging if you haven’t done it before. In this tutorial, we’ll show you how to string a tennis racquet in 11 easy steps (plus setup!). 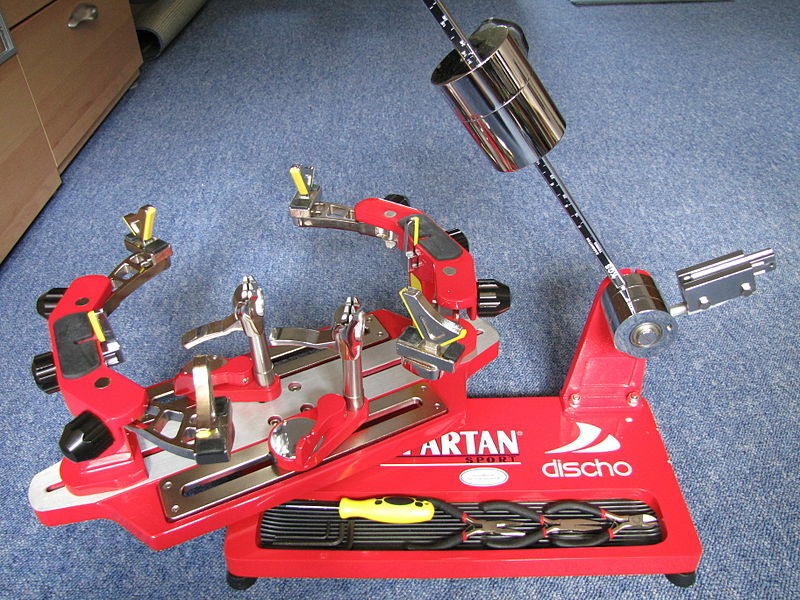 A tennis stringing machine. Without a proper machine (even a cheaper one), this process will be a nightmare. Trust us: it’s worth investing in a stringer to mount your racquet and clamp the strings in place. Tennis string. Remember you can try out a hybrid formation using two different types of string if you want. A sewing awl, for enlarging grommet holes. Scissors for cutting the string. Using your scissors, cut out any old string from your racquet. 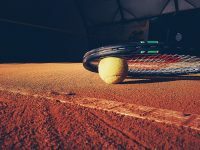 Check the racquet’s grommet holes for wear and tear. Install new grommets if necessary to avoid damaging the frame. Mount your tennis racquet to your stringing machine, ensuring not to block any grommet holes with the clamps. Check your stringer’s manual for detailed instructions – two-point and six-point mounting systems must be set up differently. Set your desired string tension on the stringing machine. Inspect your string for damage by running it through your fingers. 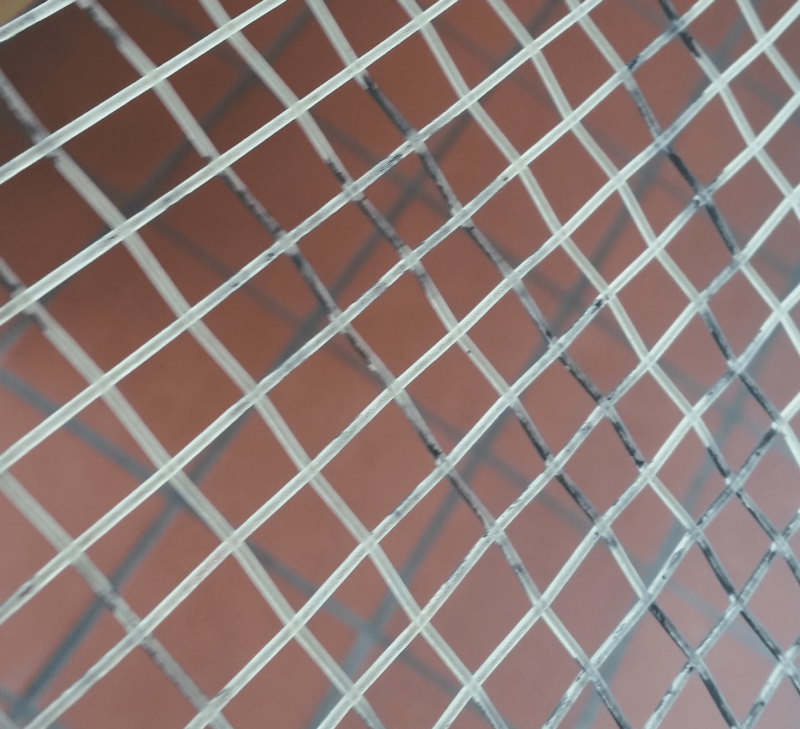 If it feels thinner than it should or has bumps, get new string for optimal performance. Cut two 20ft lengths of tennis string if you’re doing a two-piece stringing pattern. One piece will be used for the main (vertical) strings, and another for the cross (horizontal) strings. How a tennis string knot should look. 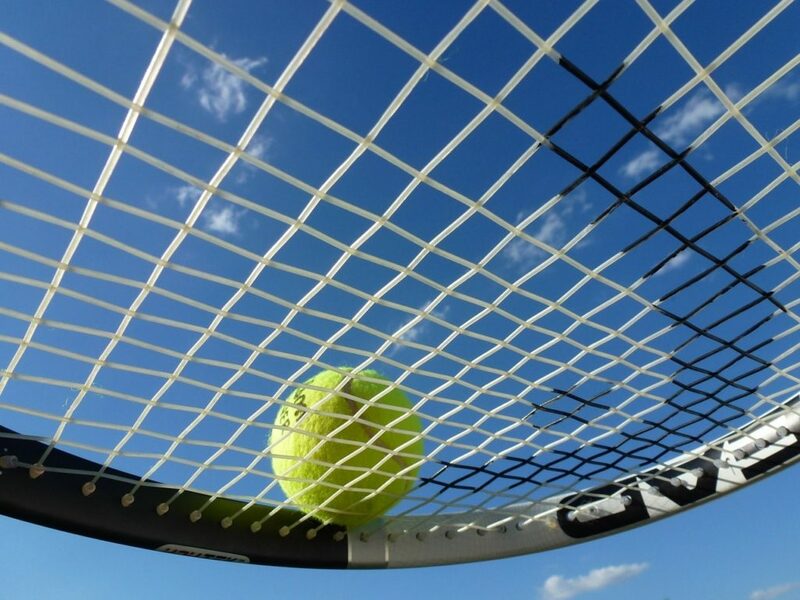 Before you start, check out this video detailing some of the best tennis string knots. You’ll need to use one or two of these when stringing your racquet. Start with the middle two holes at the head (the edge furthest from the handle) of the racquet. Loop both ends of the string through these holes from the outside and pull them through the opposite two holes at the throat of the racquet. Clamp one of these strings at the head of the racquet (where you started the job). Remember to always position the clamp as close to the holes as possible. Grab the side of the string you haven’t clamped and pull it to the desired tension using the stringer rod before clamping it with your other clamp. Then, thread the string back down the racquet and through the next grommet hole. Continue this process, alternating between strings to the left and to the right of the first two vertical strings you installed. This helps to avoid putting undue strain on the frame. Once you reach the edges, you’ll need to tie the string at both ends to secure it, using a double knot if possible. Thread the string back through a nearby grommet before tying it to a vertical string. Be careful to keep the tension pulled when tying the knots. The cross strings should follow this over/under pattern. Adjust your stringer (if necessary) for cross-racquet stringing. Pull the second piece of string through a grommet hole near the head of the racquet from the outside. Tie this string to the nearest vertical string, pulling the knots tight against the frame – don’t leave knots sitting in the string bed itself. Find the nearest open lateral grommet on the same side of the frame and push the cross string through it from the outside. Thread the string over the first main string and then under the next one, repeating this process until you reach the opposite side. Push the string through the opposite hole and apply the same amount of tension as you did with the main strings, then clamp it in place. Now complete the remaining crosses, working down toward the throat, tightening and clamping each string as you go. Be careful when pulling tension to avoid rubbing the cross strings against the main strings too much as this may create notches. Find a grommet that two strings (a main and this cross) will fit through, using the awl to create space if necessary. Thread the cross string through this hole and tie it to the main already in place, using a double knot. Check your stringing job: have you made the correct over/under pattern with each cross? If you’re all good, feel free to snip the excess string from each knot. Take note of how much you ended up using so that you don’t waste as much next time. Credit to TennisBySpize for this tutorial. Note that he works from the throat to the head with his mains – you can do this with certain racquets.